On Thursday afternoon, I cleaned out the chicken coop and the turkey pen, giving them all fresh straw and sorting out the dishevelled nest boxes. Just as I was finishing raking up the poop in the Hilda's pen (the turkey), J gave a shout for me to go to him. I thought something had happened but when I got to him, by the front of the house, there on the ground was a little curled up bundle of prickles - a hedgehog! I was so excited, it's only the second one I have ever seen - alive - the dogs seemed rather interested in it, but were keeping their distance, they have obviously encountered them before! 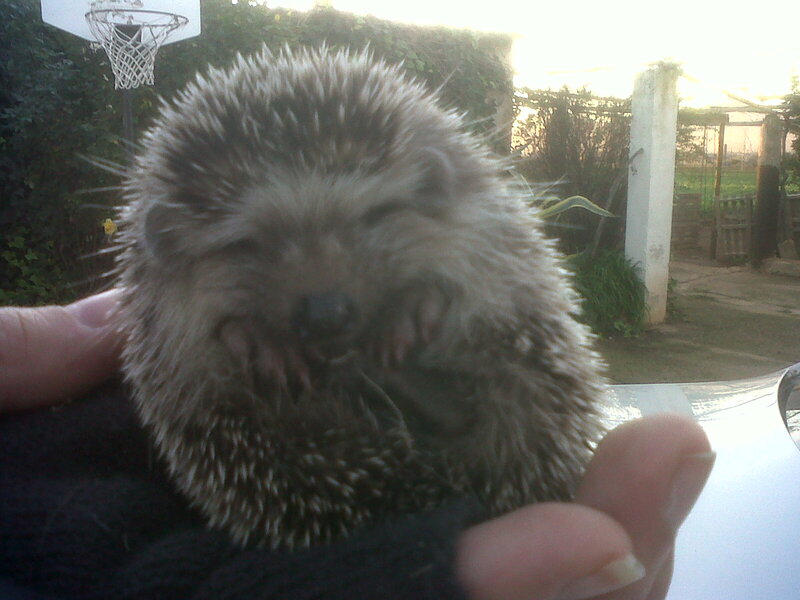 I picked up our little spiny fellow and checked he was ok and not injured. He was quite happy and seemed quite healthy. He was obviously after the dry dog food! We popped him into the old cat basket with some straw and I went to look up some information on them. Hedgehogs are different here in Mallorca, in that they do not really hibernate. We put him into the veggie plot as we had no idea where he came from in the first place. We didn't see him on Friday, but on Saturday we found him again, in the middle of the driveway - he was nearly flattened by me in the car - very well camouflaged. Again we put him back into the veggie plot. If we see him again I will take him to the fields and let him loose. C & J went to the local farm yesterday to help out the farmer, who was pulling plastic bags and rubbish from his rice field, it seems some of it comes with the fertilizer (natural) that he gets! The call it 'abono' here, we had some from him a few months ago, but got some better stuff from another farming friend shortly afterwards. 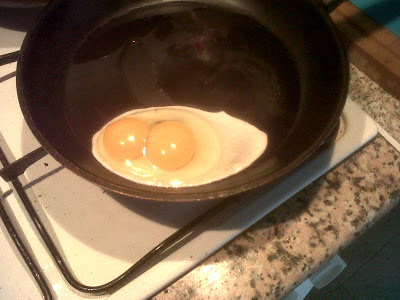 This morning, I had one of the hen's eggs for breakfast - a double yolker - wonderful. Keep 'em coming girls.